In recent years, with the rapid growth of world economic construction and science and technology, the scale of capital construction has been expanding and the construction team has been increasing. The rapid development of infrastructure construction and real estate development has promoted the rapid increase of concrete production. The position of the concrete mixer in the construction is also increasingly significant. Mini portable concrete mixer is designed to meet the needs of small batch requirements. It's easy to move the Mini Concrete Mixer with large wheel to anywhere. Mini Concrete Mixer machine is powerful, diesel, gasoline and electric motor is optional as customers' requirement. 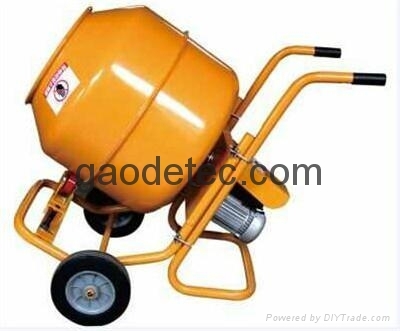 Portable concrete mixer product is suitable in general sites, roads, bridges, utilities and other projects' construction, especially for the small and medium sized concrete factory.